I was enjoying a glass of fine wine with a local friend on his belcony on a sunny afternoon the other day. He bought a bottle of French white wine at Shanghai French Week that was held later last month on Yandang road. Oh, yes! It’s great. We both agreed it tastes wonderful. Then I asked him how to judge a good wine and how to appreciate a good wine. He was speechless. I didn’t know the answers either. I’m sure there are a lot of wine lovers in Shanghai. As Paris of the east, no other city in China has ever embraced exoit and diversity more than Shanghai. Shanghainese love to focus on life quality and enjoy life. That’s why Shanghai is also described as the heaven of petty bourgeoisie. Sipping a glass of wine while chatting with a friend on a sunny afternoon is a kind of petty bourgeoisie. Shanghai should have the biggest wine market in China because it has the most highest density of five-star hotels, wonderful restaurants and people who are willing to pay for extravagant things. What’s more, in Shanghai, it’s full of business people who love to drink, to gamble and to have fun. From my own experience, it is in Shanghai that business people treat clients with wine, while in the North, in most cases, it is replaced with Chinese liquor or rice wine. Then the problem occurred: how many of these wine lovers actually know how to taste wine? I was looking for a wine tasting class online but I haven’t seen many options. Then I read a story that a professor of Shanghai Jiaotong University developed a course this semester called the culture of wine. In his class, students can taste different wines with goblets while listening to the music and chatting with classmates. It’s not surprised that this class is popular among students from Jiaotong University. They are lucky. The wine class I had was based on text books where the teacher just orally told us how to taste wine. Drinking wine is a regular method of socializing and it represents an elegant culture. If we could have an opportunity to learn knowledge on wine tasting at school and apply it in social life after graduating, it could embody personal manners. However, the sheer theoretical knowledge fails to express the essence of wine culture. Text book reading would just made students sleepy. I also noticed a TV show called Connoisseur. It is produced by a small production company based in Shanghai. They have made 24 episodes so far and all the videos can be found on Youku.com. It shows you everything you need to know about wine in an entertaining way. I think it’s a great way to educated ourselves with wine knowledge when we can’t find a good wine class in real life or we don’t have time to go to such class. As one of the emerging wine market in the world and the biggest market in China, people in Shanghai are eager to learn more about wine. However, most wine brands haven’t really paid attention to the education. 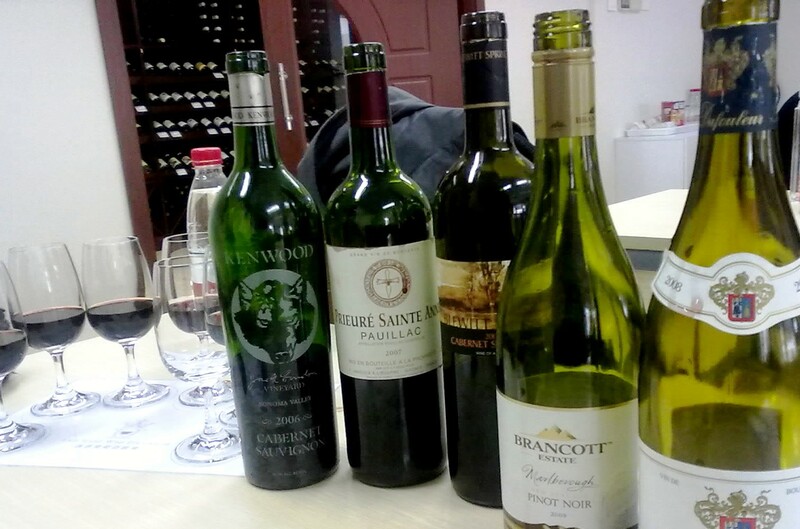 It’s extremely important to educate the customers and local partners if these foreign wine producers want to raise the quantity of wine sold in Shanghai, even in China. I’m going to attend a wine tasting class and have myself educated. I hope I can pick up a good bottle of wine with specific reasons next year during Shanghai French Week.